I can’t decide what to buy when I go shopping for the materials of meal every week, so I consider the dinner menu for one-week in each season. This is the memo (4) about the bill of fare for seven days in September – November. I can’t decide what to buy when I go shopping for the materials of meal every week, so I consider the dinner menu for one-week in each season. This is the memo (3) about the bill of fare for seven days in September – November. I can’t decide what to buy when I go shopping for the materials of meal every week, so I consider the dinner menu for one-week in each season. This is the memo (1) about the bill of fare for seven days in September – November. 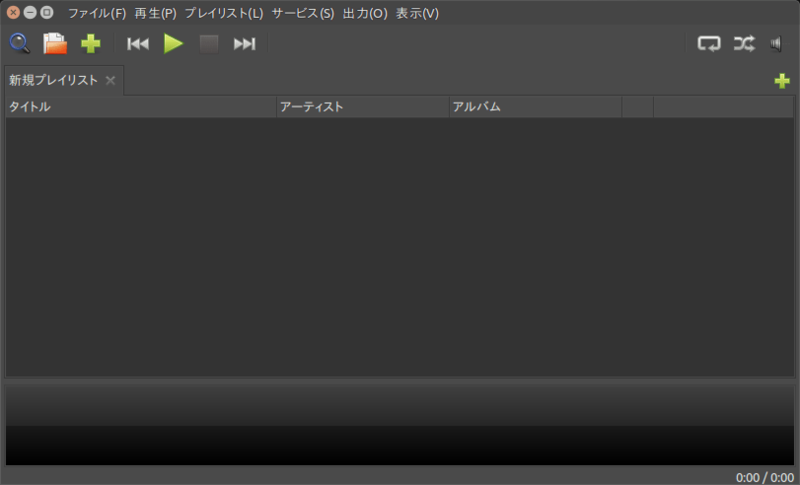 To apply “GTK interface” in Audio player “Audacious”, I wanted to change the background color of the window. This is the memo to change the theme for Ubuntu according to this site. To install the theme accoring to following. To start “gnome-tweak-tool” from the terminal, and chose “appearance” → “GTK+”. A theme and the windows color of Audacious were changed.